IVR Network Diagrams visualize the logical and physical structure of IVR systems, where computer interact with callers using of voice and dual-tone multi-frequency signaling (DTMF) keypad inputs. They are used to develop, operate and maintain the IVR systems for inbound and outbound call centers and voice mail systems. 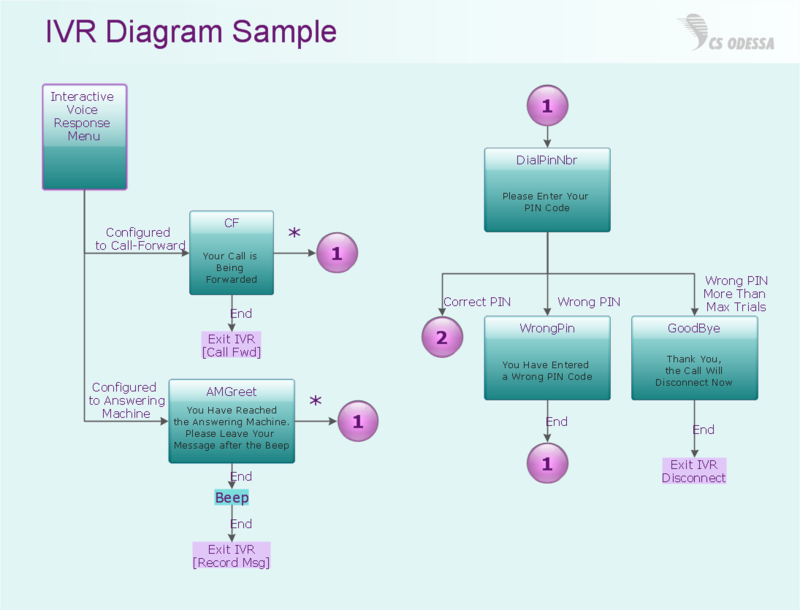 ConceptDraw has templates and examples that helps you to start using software for designing your own IVR Diagrams. You can use the appropriate stencils from Interactive Voice Response library with 35 objects.